Updated 7.45pm - Some 150 migrants have been picked up by the Libyan Coastguard from a drifting boat and are being taken back to Libya, from where they had departed, Italian Home Affairs Minister Matteo Salvini said on Monday evening. 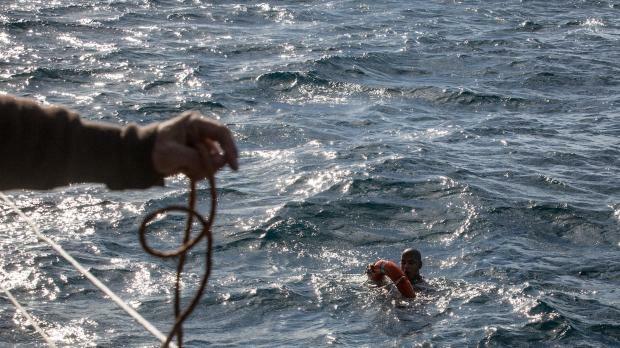 Earlier, the NGO Alarm Phone expressed its concern over the migrants and said the Maltese and Italian maritime rescue authorities have been alerted about them. The boat, which Alarm Phone said was believed to be carrying “50-60 women and 30 children”, was drifting after its engine stopped working. An Armed Forces of Malta representative said that they had been alerted to the boat and were keeping tabs on it. It was however not in Malta’s area of jurisdiction, the spokesperson said. No migrant rescue vessels are currently operating in the Mediterranean. The Sea-Watch 3, which was the last remaining ship carrying out rescues, is currently stuck in Catania. Another vessel, the Alan Kurdi – formerly Sea-Eye- is expected to resume operations in a few weeks. With no NGO vessels currently in operation and no sign of a coast guard vessel coming to the rescue, Alarm Phone said the situation further disproved the “pull factor myth”. European governments have often suggested that having NGOs running sea rescue operations in the Mediterranean only serves to attract further migrants to undertake the dangerous crossing. Italy’s deputy prime minister, Matteo Salvini, has gone as far as calling the NGOs “taxis for human traffickers”. Figures released by UNCHR last month revealed that while the number of people crossing the central Mediterranean has declined from previous years, the journey is more dangerous than ever, with an average of six people dying while trying to cross the sea every single day.